One of the best parts of renting a vacation home in lieu of a hotel room is the fact that you have access to your very own private kitchen. Cooking your own meals while on vacation is a great way to save money, but it can also serve as a fun activity to share with your travel partners! In this gallery, we've compiled some of the most beautiful and sophisticated kitchens on our site. 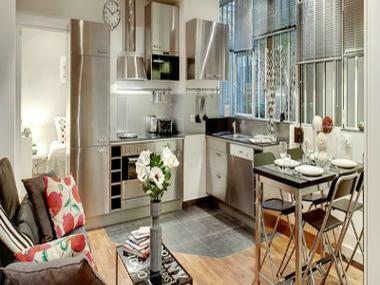 These spaces are good enough for a professional chef, so they're sure to get your culinary juices flowing! Ahh, vacation tastes great. 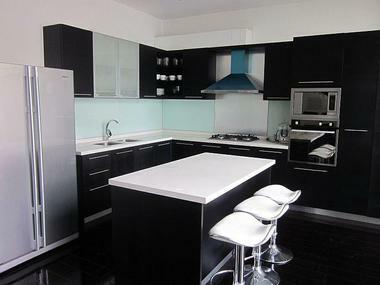 "Shiny and new" is the look for this Parisian kitchen. 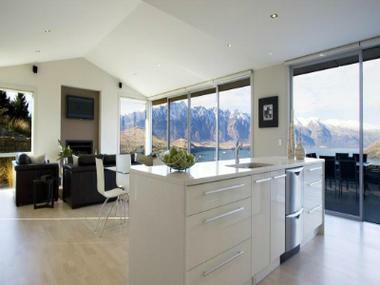 Don't burn your dinner while admiring these kitchen views! 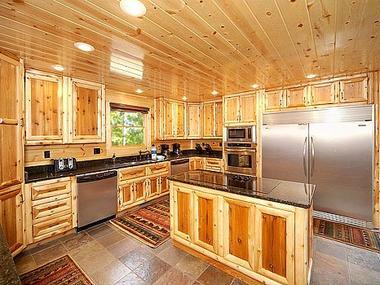 This luxury log cabin style kitchen will warm your heart. This monochromatic kitchen will treat your meal just right. 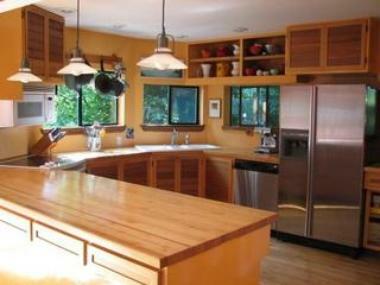 A natural wood kitchen in an urban rental.